Easedale Lodge, Ambleside, in the heart of the Lakes! Easedale Lodge offers quality accomodation with seven double bedrooms, our price includes bed and breakfast for two people, free private parking and unlimited WiFi use. Easedale Lodge offers the reassurance of free private car parking. 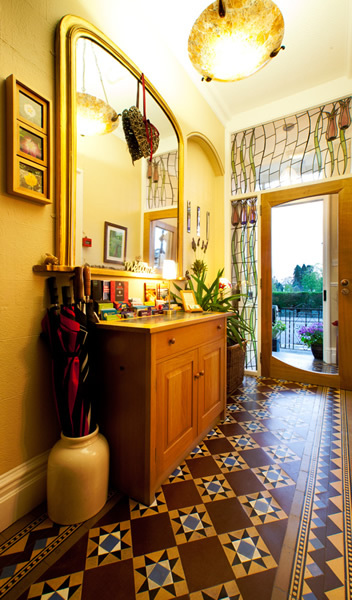 We provide one free parking space for each guest room for the duration of your stay (parking at busy periods for our Cosy Double rooms may be at our overflow car park a few minutes walk away, which we will assist you with on arrival). Many of our guests park their car on arrival and don’t move it again until they leave – such is the ease of access from the Lodge to all local amenities, public transport, walks and sights. Easedale Lodge is centrally located in the Ambleside village conservation area, you can do many famous walks and drives directly from the Lodge and the beautiful Lake Windermere is less than one mile from the front door. 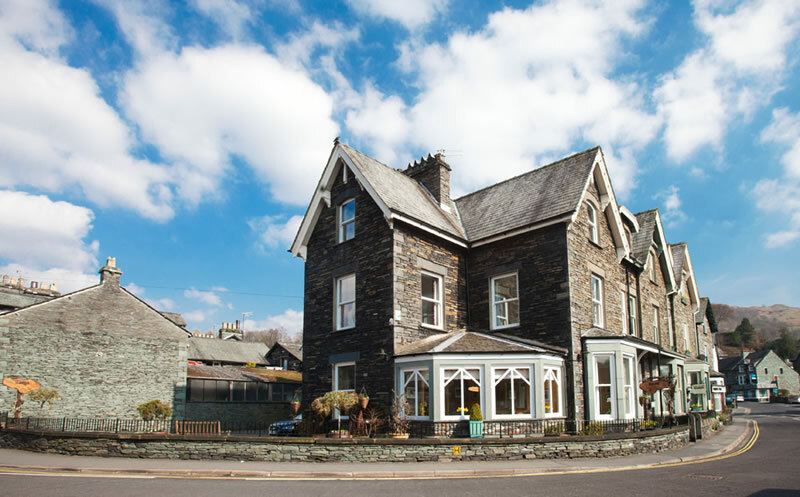 The Ambleside cafes, bars, traditional pubs and eclectic mix of restaurants are within a few minutes walk from the Lodge as are the shops, museums, cinema screens, climbing wall and the Oxley's 'Blue Fish Spa'. 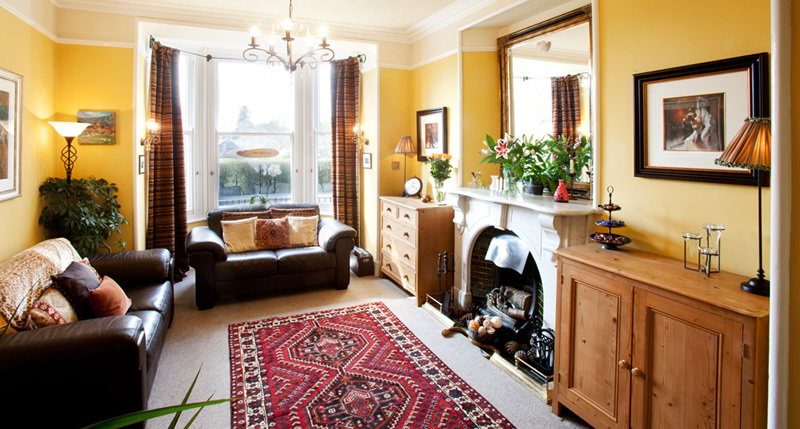 Easedale Lodge is a charming, Victorian Lakeland stone house that retains many original features with solid oak doors and Lakeland slate tops to furniture. Easedale Logde has double glazing, full central heating, a pressurised hot water system and unlimited free WiFi use. Easedale Lodge has seven beautifully appointed double bedrooms, with lovely views of the village and the surrounding landscape, each bedroom has individual decor to suit all tastes, with comfy beds and sumptuous soft furnishings. The hospitality trays are well stocked with both local and Fair Trade products. Each bedroom has a digital television, hairdryer and radio alarm clock. The pristine shower rooms have powerful showers, soft towels and exclusive EWE LOVE THE LAKES toiletries. 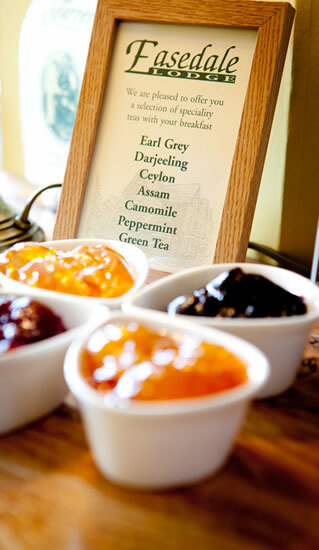 Easedale Lodge has an elegant dining room and serves a full English or Vegetarian breakfast cooked to order, or lighter options for those who prefer, with a good selection of toast, cereals, seeds, fruits, yoghurts and juices plus a range of speciality hot drinks.